There are so many great things happening lately that affect single parents, like the Flower City Habitat for Humanity in Rochester, New York, which is helping to provide homes for single parents and their families. 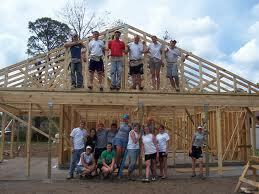 The Flower City Habitat for Humanity is an affiliate of the international organization known as Habitat for Humanity. Their mission is to “seek to eliminate poverty housing and homelessness from the world and to make decent shelter a matter of conscience and action.” Habitat for Humanity was founded in 1973 and have to date built over 400,000 houses, sheltering more than 1.75 million people in more than five continents and 3,000 communities worldwide. As part of the program, each family that benefits from a house has to put in 450 hours of work – half of which goes into building their own home, and the other half of which they put into building more homes for single parents who will benefit from the Habitat project. FCHH rely on the support of thousands of local volunteers and businesses, who target the city’s most desperate neighborhoods for upliftment. They select vacant lots upon which they can build their one-story volunteer-built homes, most of which are available to them by the city, due to demolition of run-down or vacant properties. 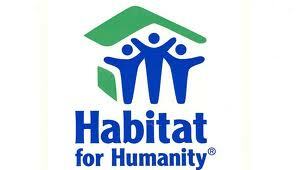 Habitat provides “a hand up, not a hand- out”. The newly built homes are bought through a zero-interest, 20- or 25-year mortgage which is held by FCHH. The new homeowners find that their monthly repayments on these loans are often much less than the rent that they were previously paying. FCHH is not only responsible for assisting in building homes for single parents, they are also responsible for family support, fundraising and development, public relations and event planning for house dedications and special events, amongst other things. they also rely heavily on public and private donations. They are doing quite an amazing thing. By assisting single parents who are often living very close to the bread line, with one or more children that they are struggling to support and to keep a roof over their heads, they are taking a lot of the pressure off of these parents as well as their children. Home ownership not only creates stability, but also gives hope and a better quality of life for single parent families. If you want to find out if you qualify for the program, or are interested in volunteering for the program, go to the Flower City Habitat for Humanity – website not only will you be helping a family out, but you will feel great doing it!